What better way to celebrate a quarter of a century of one of the world’s most iconic roadsters than to get all three generations of car in the same place at the same time? 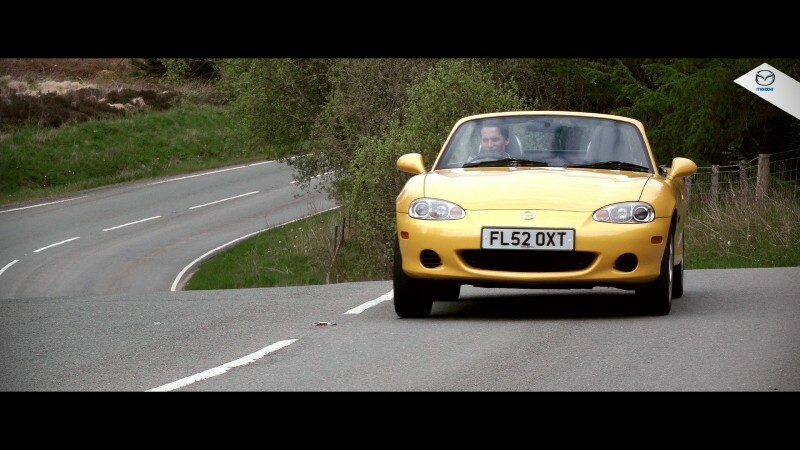 As the Mazda MX-5 is renowned for being a driver’s car above all, we took MK I, II and III to some of the country’s most challenging and exciting roads in north Wales. This exclusive shoot allowed us to compare and contrast and demonstrate how, 25 years since it changed the face of the world’s sports car market, the Mazda MX-5 has evolved. With more than 940,000 produced worldwide, the Mazda MX-5 is the world’s best-selling two-seater sports car. It was first unveiled at the 1989 Chicago motor show and has since outsold any other car of its kind. 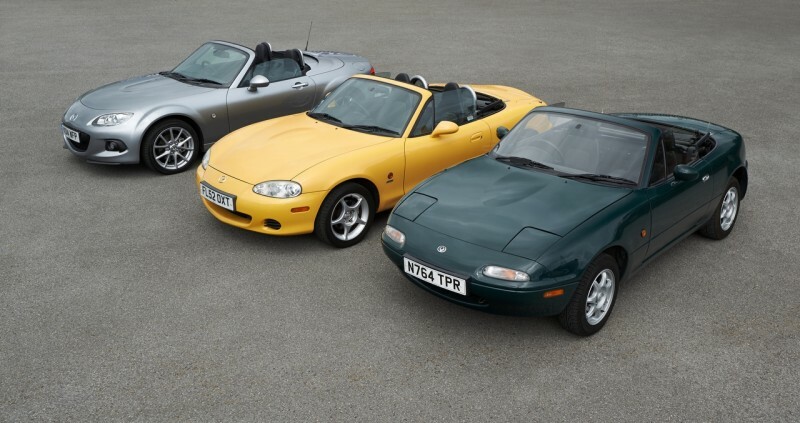 The inspiration behind the Mazda MX-5 was the British sports car of the 1960s: evocative machines like the MGB, Lotus Elan and Triumph Spitfire. 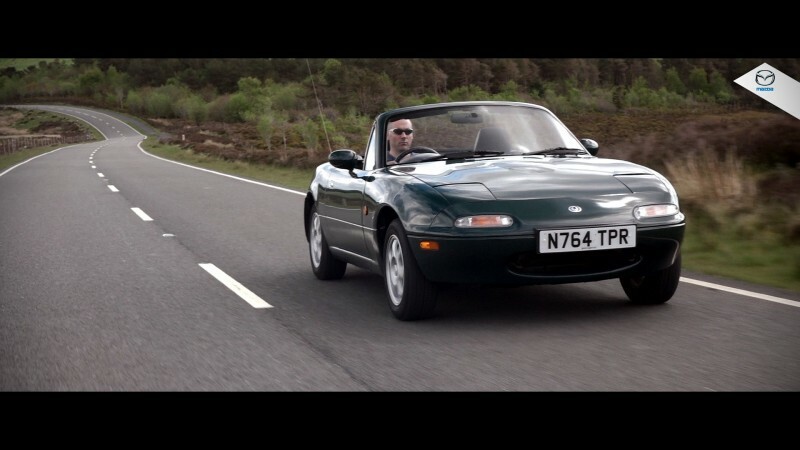 Mazda wanted to reinvent the concept of this affordable British roadster for a new generation of drivers who were hankering after back-to-basics motoring. 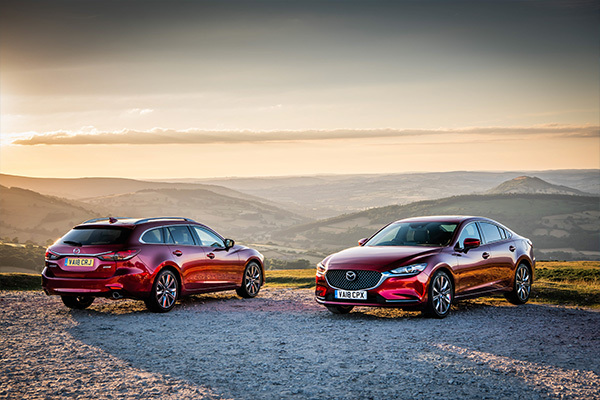 It set out to capture character while bringing modern everyday dependability ‑ and with an initial UK price from £14,900 ‑ affordability to drivers who demanded the complete package from their sports cars. The MK I is instantly recognisable for its petite proportions and distinctive pop-up headlamps. Its iconic silhouette is repeated in features such as the door handles and wing mirrors. This simple but elegantly styled body concealed an 115PS 1.6-litre and, later, 130PS 1.8-litre four-cylinder petrol engine. When combined with a weight of just 955kg, performance and fun were guaranteed. Another aspect that made the MX-5 inherently entertaining was that the roof could be lowered in a matter of seconds. You simply release a pair of latches and throw it back to let the sun stream in and have the air rush through your hair. 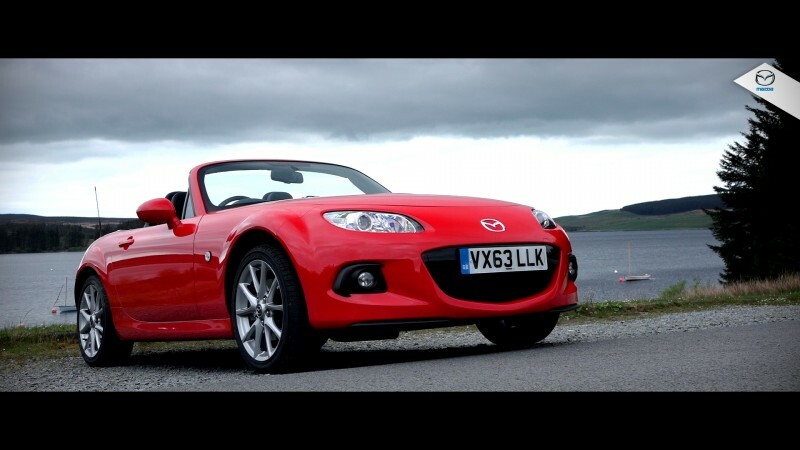 In 1998, Mazda launched the second generation Mazda MX-5 whilst retaining its hugely appealing formula. The 1.6-litre and 1.8-litre engines remained, albeit with improvements, and the pop-up headlamps were replaced to make the bodywork more streamlined and safer for pedestrians. The road holding was sharper and more precise than ever yet the overall package was more refined and the interior brought more creature comforts. 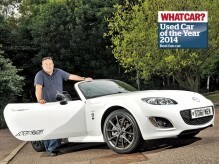 By the time the third generation Mazda MX-5 was launched, in 2005, Mazda had some innovations up its sleeve. With a wider track and longer wheelbase, the car was both more fun and more comfortable than ever. The engines grew to 1.8-litre and 2.0-litres but the sense of Jinba Ittai ‑ the connection between car and driver (rider and horse as one) ‑ remained intact. One year later, the acclaimed Roadster Coupe was revealed, bringing a whole new dimension to the world’s best-selling two-seater sports car. Adding a folding hard roof to the Mazda MX-5 range meant drivers could choose between the classic appeal of a soft-top roadster or the snug, refined feel of an ingeniously engineered two-section solid top. By continuously evolving such an initially successful formula, Mazda has inspired a hugely loyal following for the Mazda MX-5. Now, 25 years after it was first revealed, a new generation model is under development. Such is the level of media interest, there has been intense speculation about it. 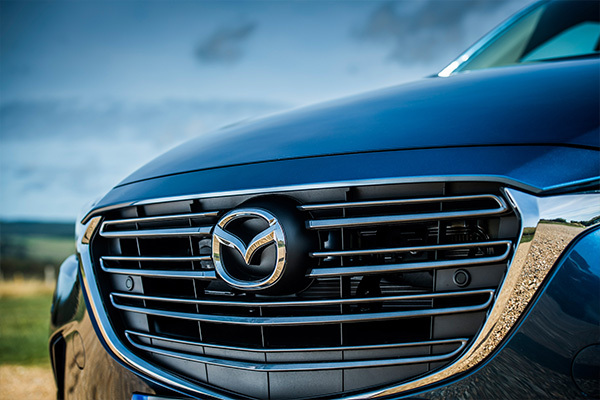 One thing’s for sure: Mazda is acutely aware it has a formidable standard to follow.